What can be better and more fulfilling than books? It's food, of course! Never has anything else has combined more perfectly with a book. A book can have many reasons to stick on your mind. 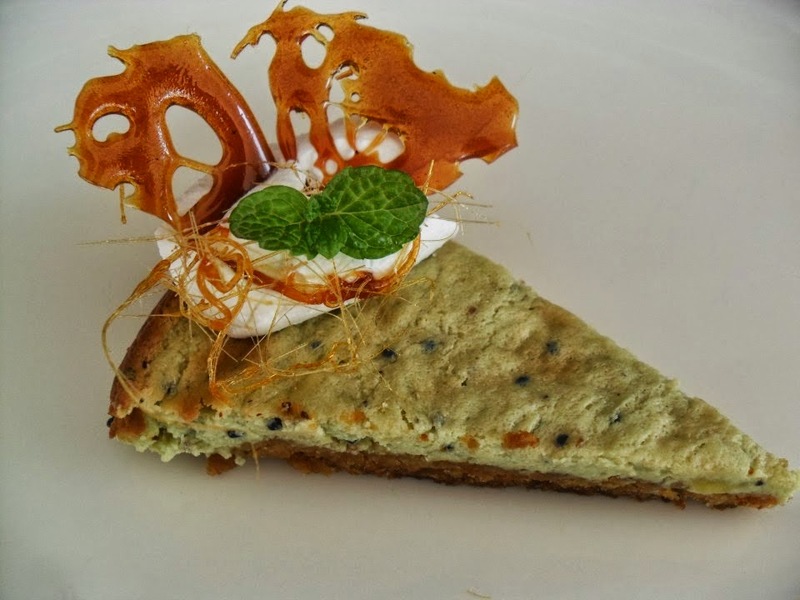 One of the reason could be that it has the most intriguing foods that makes you wonder and imagined the look and taste of it. Mere descriptions from the book is not enough for some of us to feel satisfied. Books has always been a great source of recipes. From potions to elixirs and varieties of other foods, it has never stop us from wanting. I remember reading Bittersweet by Sarah Ockler and it was full of cupcake recipes. 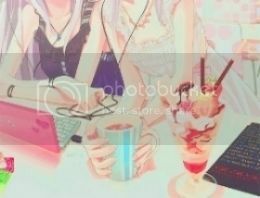 I remember thinking about how I wish I can just grab the foods through the pages and yank it out and eat it instead of just reading about it and salivating. But because of the lack of ability to put my hands through the pages, I resort to making the food on my own with the help from recipes I found online. So I went in search for iconic foods from books and I found several recipes that looks so delicious! Definitely want to try these! So someone had a vision to put kiwi in a pie! Who would have thought, eh? Looks like it will taste great too. You can get the recipe at The Reader and The Chef. Omg! Don't that just look so cute! This will be perfect to enjoy with kids. You can get the recipe at Sweetopia. Another recipe from The Reader and The Chef. Anna was so in love with her crepe. It was of no wonder! 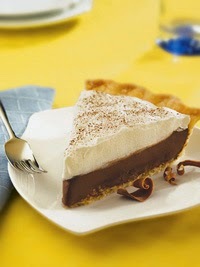 I am in love with this one because of the chocolate! What else that could be better than this! Oh I know what is better than chocolate! More chocolate! 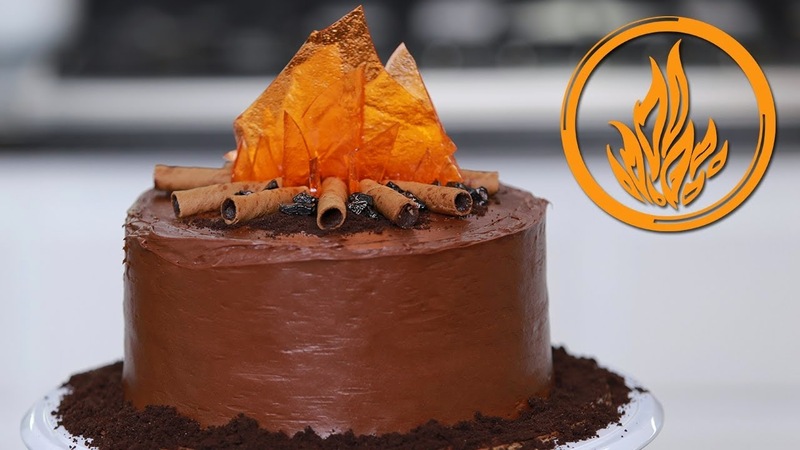 The mysterious chocolate cake has been mentioned in Divergent countless of times. Make you think about what so special about it. Well, think no more! Just taste it! The recipe is from Epic Reads. 5. 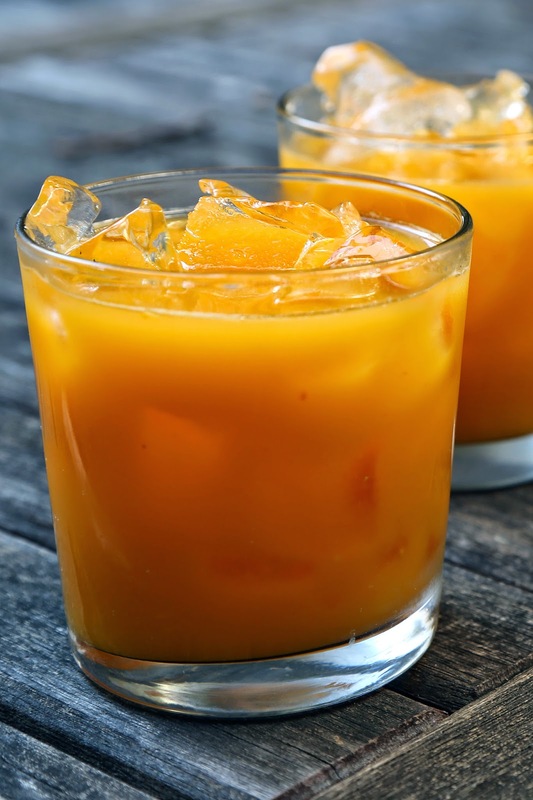 Pumpkin Juice from...can you guess it?? A very popular drink in the wizarding world and is a main drink in Hogwarts School of Witchcraft and Wizardry. 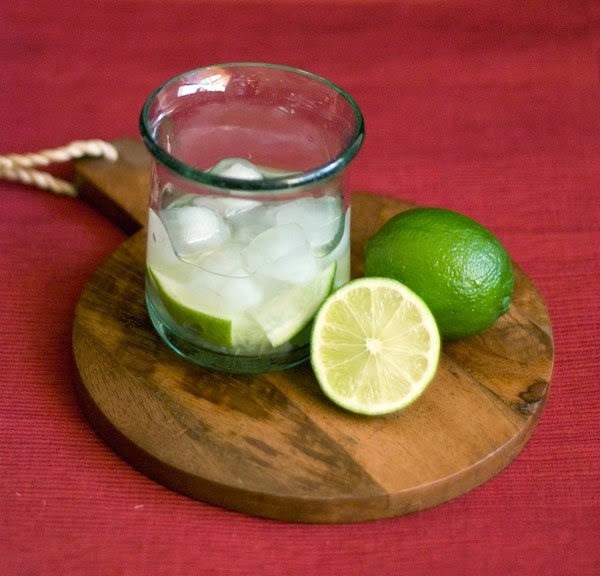 Can be drink at breakfast, lunch, dinner and anytime really. The recipe was obtained from Pop Sugar. 7. Butterbeer from you know where! Do I even need to mention where this drink is from? 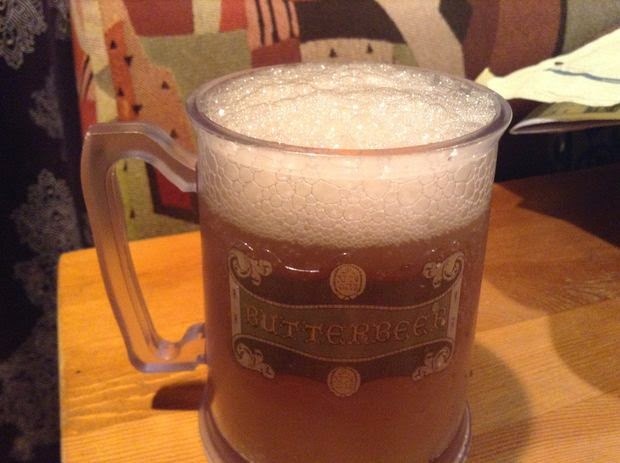 Butterbeer is as widely known as its place of origin. What better way to reminiscence the stories than to drink the iconic drink itself. 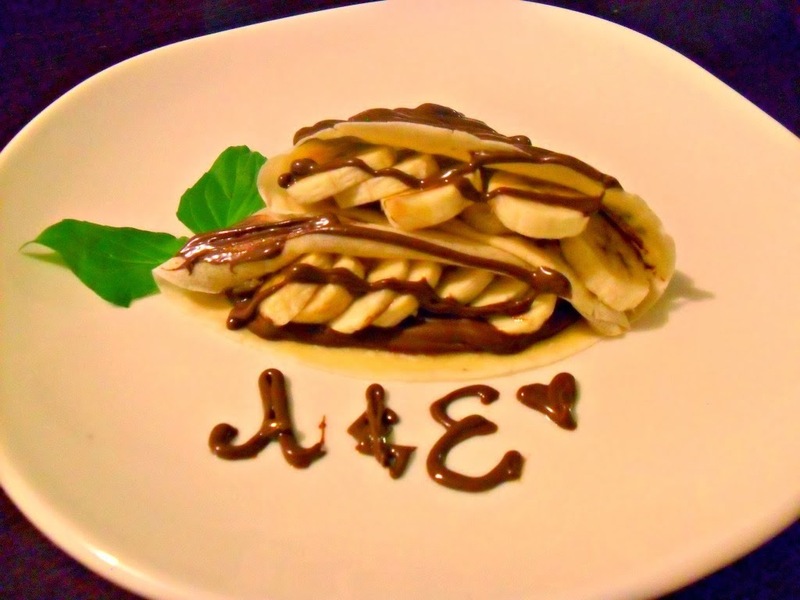 Get the recipe from Instructables! 8. 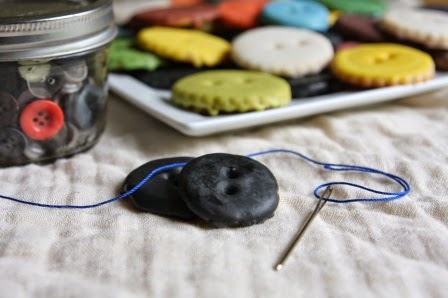 Button Cookies from Caroline Coraline. It still creeps me out about the mother with the button eyes in the other world that Coraline found. 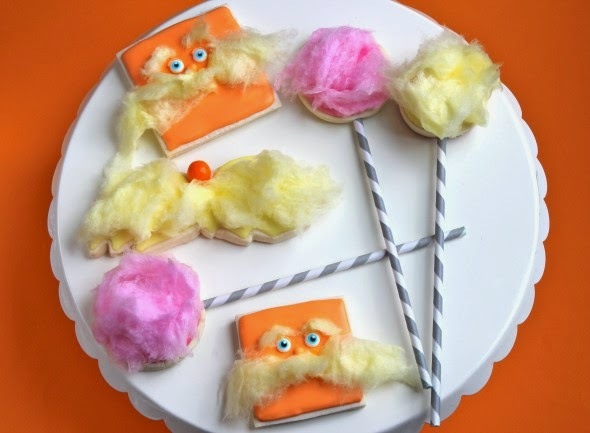 But this cookies is anything but creepy. It's a perfect Halloween treats! Get the recipe from Food Through The Pages. Hard to detect and the deadliest of all poisons, sure is handy when dealing with enemies. But it can also be drink when in need of fine refreshments, minus the poison of course. If you want to wow your friends or scare your enemies, then get the recipe from Flavorwire and serve it to your friends (or foes)! 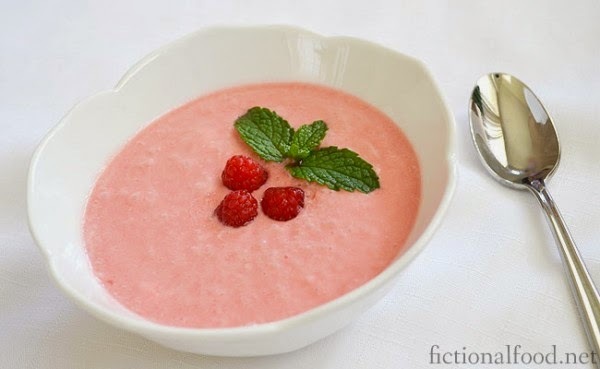 Hunger Games may be well known for Peeta's bread, but for me the frothy raspberry soup that Katniss ate in the train is by far the most salivating for me. Just look at all that colour! It looks so good and I bet it taste better! Get the recipe at Fictional Food. What better ways to you enjoy your favourite books other than with food! Plus, these aren't just any food. These are the foods from the books itself. Talk about being realistic! Hope you can enjoy the foods if you are making them!